Квартиры в Раменском, a property with a garden, is located in Ramenskoye, 3.3 km from Ramenskoye Bus Station. 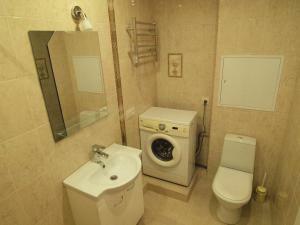 Located in Ramenskoye, Guest House on Korolyova offers simply decorated rooms. All rooms feature simple decor and come with a flat-screen TV and a fridge. Apartments on Kommunisticheskaya is an accommodation set in Ramenskoye, 3.5 km from Saturn Stadium and 5 km from Ramenskoye Bus Station.